Blammo…the Pre has video courtesy of a OS update. Flattered to be mentioned in "Life by Design"-Tom Ferrys new book. 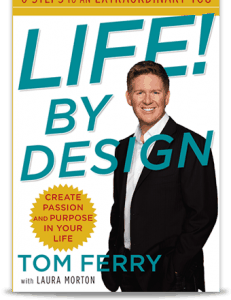 Just thought it was a really cool gesture of Tom Ferry to mention me in his new book “Life by Design.” First to acknowlege me at all… I have learned as much as I have taught. Secondly, to be surrounded in text by THESE NAMES… was simply surreal. I know and respect each one of these individuals as great coaches, motivators and writers… I am truly humbled to be included. BTW, the book absolutely rocks, and is timely as all hell.. If this business climate, or life in general has you second guessing yourself, read this book. It is a shot of inspiration. Posted on April 26, 2010 Categories Blogging, News4 Comments on Flattered to be mentioned in "Life by Design"-Tom Ferrys new book. 1. Pick the keywords you want to go after. Let’s use “condos for sale in Queen Anne” as an example. For those who don’t know, Queen Anne is the neighborhood where I used to live in Seattle. 3. Write a GREAT post with relevant information, a good voice, and unique content that would interest the exact type of person you hope to attract to your blog. Content is still king in my opinion. In the “Condos for sale in Queen Anne” example, one piece of content that should be available in that post should be — you guessed it, actual condos for sale in the Queen Anne neighborhood of Seattle. If you use a company such as Diverse Solutions, this is easy with their new dsIDXPress WP Plugin. But make sure to include additional unique content to your post, as condo listings are not unique to your blog. 4. Include your desired keywords at least twice in your article. This is just common sense — if an entire page is devoted to a specific topic such as “condos for sale in Queen Anne”, a Search Engine such as Google would expect to see that topic mentioned in the blog post several times just as you would if you were listening to your friend tell you about condos in person. 5. Do some link building with domains and pages your control, making sure to use your keywords in the anchor text of all of those links. Add a link to your blog’s sidebar with your desired keywords as the anchor text. Go back and edit other specific blog posts you’ve written which pertain to the topic your current blog post addresses (in this case, “condos for sale in Queen Anne”). 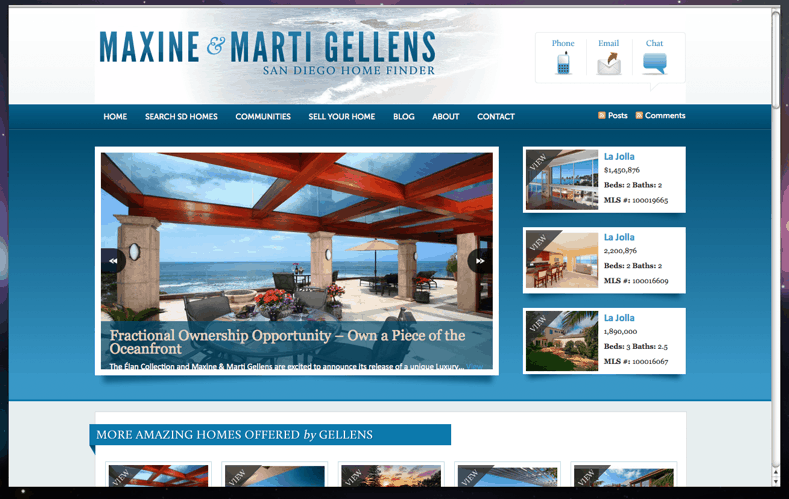 Add links to your post from a few of your profile pages on sites such as Zillow and Linkedin. If you own multiple domain names, then add links to your post from all of your domains. 6. Promote your blog post. Email a few of your friends who write related blogs and see if you can get them to pick up the story, and of course link to your specific article if they choose to write about it. I wrote a whole post on this topic, so I won’t bore you with the details again. 7. Continually repeat steps 5 and 6. Don’t think that just because you spent a week or two trying to get a post to rank without success means you should give up. Every time you write a post on your blog in the future somewhat related to “condos for sale in Queen Anne”, make sure to link to your Queen Anne condos post. It can take weeks or months, depending on how competitive the keyword is, to get a post to rank highly. And there you have it – my tips to getting a post to rank well for a desired keyword. Have you had success ranking individual blog posts highly for long tail keywords? If so, what have you done? WordPress 3.0 is HERE!! WooHoo! Remember when I posted earlier about the Twitter account, and I said that hopefully you’d find out later today what has been keeping us all so busy? Beta testers, this is your moment: the WordPress 3.0 Beta 1 has arrived! This is an early beta. This means there are a few things we’re still finishing. We wanted to get people testing it this weekend, so we’re releasing it now rather than waiting another week until everything is finalized and polished. There’s a ton of stuff going on in 3.0, so this time we’re giving you a list of things to check out, so that we can make sure people are testing all the things that need it. The custom menus system (Appearance > Menus) is not quite finished. In Beta 2, the layout will be different and a bunch of the functionality will be improved, but we didn’t want to hold things up for this one screen. You can play with making custom menus, and report bugs if you find them, but this is not how the final screen will look/work, so don’t get attached to it. The merge! Yes, WordPress and WordPress MU have merged. This does not mean that you can suddenly start adding a bunch of new blogs from within your regular WordPress Dashboard. If you’re interested in testing the Super Admin stuff associated with multiple sites, you’ll need some simple directions to get started. We’re still fiddling with a few small things in the UI, as we were focused on getting the more function-oriented code finished first. For example, we’re getting a new icon for the Super Admin section. Play with the new default theme, Twenty Ten, including the custom background and header options. Custom Post Type functionality has been beefed up. It’s really easy to add new types, so do that and see how it looks! WordPress MU users should test the multiple sites functionality to make sure nothing broke during the merge. Already have a test install that you want to switch over to the beta? Try the beta tester plugin. Testers, don’t forget to use the wp-testers mailing list to discuss bugs you encounter. We hope you like it! And if you don’t, well, check back when beta 2 is ready. 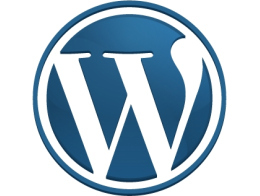 Download the WordPress 3.0 Beta 1 now!